Recent revelations about alleged insider trading at hedge funds make me wonder if the average investor has a fair shot at investing in stocks. The most recent story pertains to a $15 billion hedge fund that closed back in May. And last month, the $3.7 billion Galleon hedge fund was shuttered after its founder was arrested with many others. I think it's great the SEC is starting to focus on the problem. I hope the fear of getting caught will stop insider trading by hedge funds altogether. The latest news on alleged insider trading comes from a trader who told his psychologist that he was fired from hedge fund Pequot Capital Management because he refused to keep providing its founder with inside information about his former employer. Specifically, Bloomberg News reports that David Zilkha, a former Microsoft (MSFT) employee who next worked for Pequot Capital Management, was fired in 2001. According to a transcript of a divorce deposition from his psychologist, Peggy Thomson, Zilkha refused the demands of his boss at Pequot, Art Samberg, to keep providing Pequot with insider information on Microsoft. Zilkha lost his job -- but not before Pequot allegedly made $12 million on such information. The hedge fund closed in May 2009, because the insider trading probe "cast a cloud" over it, Samberg wrote to investors. Joining Pequot in allegedly profiting from insider information is Raj Rajaratnam's Galleon. What I found striking about the Galleon case is how many different kinds of financial players appear to have been involved -- lawyers, executives, consultants and, of course, traders. It will take revelations about just one more hedge fund to turn this into a trend. But this news about Pequot's alleged insider trading on Microsoft rang a bell with me because it was the second example of alleged insider trading at that firm. As I wrote about more than three years ago, an SEC investigator, Gary Aguirre, was fired for trying to question Morgan Stanley (MS) CEO John Mack -- who was then CEO of Credit Suisse -- in connection with Aguirre's suspicion that Mack had provided insider information to Pequot's founder. Aguirre was investigating whether Mack had tipped off Samberg about General Electric's (GE) 2001 acquisition for $5.3 billion of Heller Financial -- which Credit Suisse advised. Pequot reportedly made a 50% return totaling $18 million on its investment in Heller. Efficient market theory says nobody can beat the market, because all the information about a stock is out in the public sphere. As Pequot and Galleon illustrate, efficient market theory can have a hope of being valid only if regulators take insider trading seriously and fight vigorously to eradicate -- or at least keep it to a minor minimum. 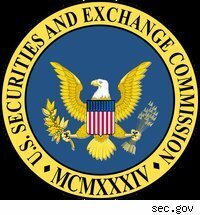 To its credit, the SEC under its new head, Mary Schapiro, is cracking down on this crime. Unfortunately, I'd be shocked if insider trading proves to be limited merely to Galleon and Pequot. But the current investigations hold out the hope that eventually traders -- and all the other participants in the financial markets -- will grow so afraid of getting caught that they'll have to find legal ways to make a profit in the stock market. And if that happened, individual investors might then be able to play on a level playing field. What a concept! Peter Cohan is a management consultant, Babson professor and author of nine books, includingCapital Rising (due in June 2010). Follow him on Twitter. He owns GE shares and has no financial interest in the other securities mentioned.